Mr Lee began his talk on collaboration and partnership values by placing technology at the heart of current change in the industry, as well as the change to come. Mr Lee also addressed ongoing cultural and behavioural changes from industry and suggested that organisations able to ‘keep up’ with these shifts will be the ones who thrive. Mr Lee explained how collaboration, although not new, ‘very much remains a challenge for many organisations within the sector’ and that its benefits to transport could be boundless. He stated that HTMA has been at the forefront of collaboration and its development. 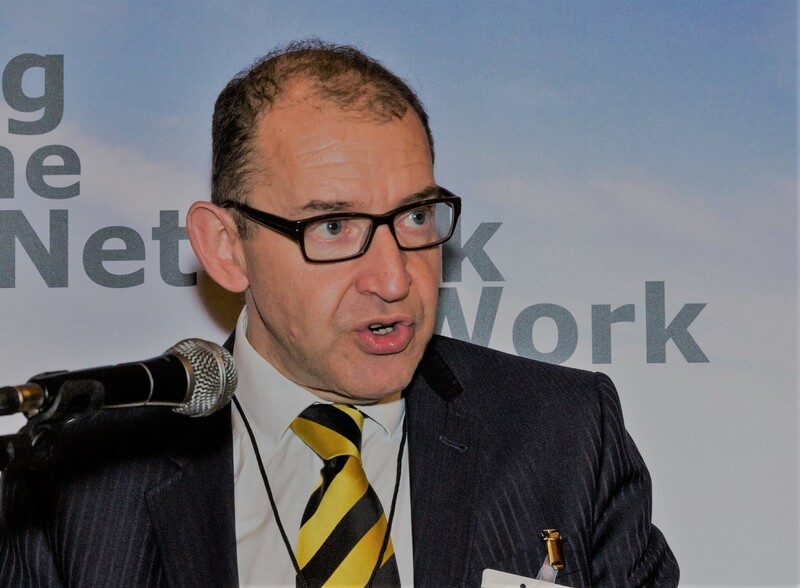 The term maintenance sector has changed substantially, Mr Lee said and ‘there have been significant changes in the way that relationships are built and projects are delivered across the strategic road network’. HTMA's vision is for an efficient, effective and sustainable highway maintenance sector and it views the issue of sustainability – not just environmental but economical – within the sector as a very urgent point, Mr Lee said. ‘There is no point in having a private sector working on innovation if it is not economically and environmentally sustainable,’ Mr Lee said.